IBM's Riverside and Palladium offices hosted pancake breakfast events today to raise funds for Ottawa Network for Education's School Breakfast Program as a part of IBM's annual Employee Charitable Fund Kick-off. The event raised $4,717.00, generated through IBM employee tickets sales. "I am proud of and grateful for the incredible support shown by our employees here today. 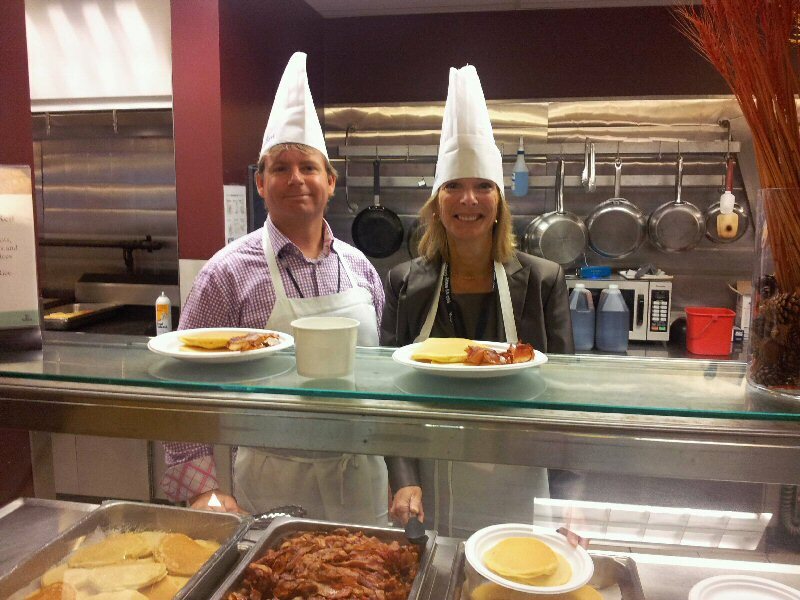 A commitment to support community initiatives like the Ottawa School Breakfast Program is in our DNA at IBM. A Breakfast for Breakfast event is a great opportunity to bring employees together and celebrate giving back to our local community. We hope that other Ottawa businesses will host their own breakfast event in support of this wonderful program." Rob White, IBM Vice President of Mergers and Acquisitions and Director of the IBM Ottawa Software Lab. 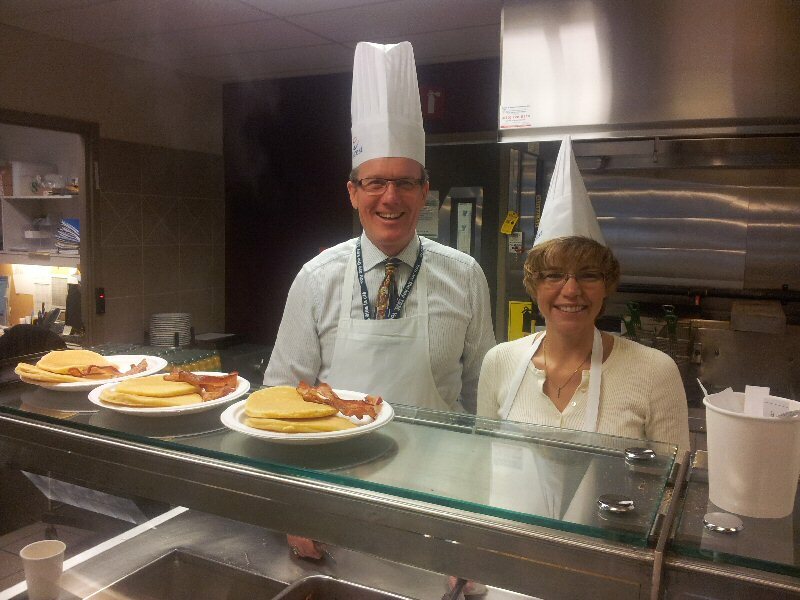 The Ottawa School Breakfast Program provides breakfast to over 11,300 students in 148 schools every day. The program provides a safe environment for students in need to have access to a healthy breakfast in a safe, supervised environment - to help each child start their day ready to learn. "We know firsthand that students who are given nutritious breakfasts on a daily basis make significant improvements in learning, school attendance, behaviour and self-esteem. We are grateful to companies like IBM for supporting this program." Julian Hanlon, Director of Education and Secretary Treasurer, Ottawa Catholic School Board and Chair of the Ottawa Network for Education. Anyone interested in hosting their own Breakfast for Breakfast event in support of the Ottawa School Breakfast Program is encouraged to contact the Ottawa Network for Education at 613-366-3085 or visit www.onfe-rope.ca for more information. The Ottawa Network for Education (ONFE) brings together education and community partners committed to enriching public education in Ottawa. We harness the resources of the community to help students succeed in a rapidly changing world. Our Student Support and Career Preparation programs reach over 80,000 students each year. IBM 1 - Julian Hanlon, Director of Education and Secretary Treasurer, Ottawa Catholic School Board, Chair, Ottawa Network for Education Karen Williams, Vice President, Business Analytics Customer Success and Support, IBM Canada Inc.